1758-1830. He was born on 5 December 1758 at Rolls Park near Chigwell, Essex, the fourth but second surviving son of William Harvey, the long-standing M.P. for Essex, and of his wife Emma Skynner. Harvey, who lost his father when he was five years old, enjoyed a two-year education at Westminster School from 1768 and was at Harrow School from 1770-4. In the meantime he had been entered onto the books of the royal yacht Mary as a midshipman on 4 December 1772, and from the end of June to early October 1773 he was able to spend some time in home waters aboard the Orpheus 32, Captain John MacBride. At the end of May 1774 he took a berth aboard the sloop Lynx 10, Commander Alexander Scott, going out to the Leeward Islands and remaining there until she returned to Milford Haven in May 1776. In early July he was briefly on the books of the Ardent 64, Captain Charles Middleton, and for a week thereafter on the books of the Pembroke 60, Lieutenant Jahleel Brenton. In September 1776 Harvey joined the Mermaid 28, Captain James Hawker, which went out to North America, moving in the following summer to Vice-Admiral Lord Howe’s flagship the Eagle 64, Captain Roger Curtis. He came home on this vessel in October 1778 after a brief return to the Mermaid, and a secondment to the Liverpool 28, Captain Henry Bellew, which ended with her shipwreck off Long Island in February 1778. On 25 February 1779 he was promoted lieutenant of the Resolution 74, Captain Sir Chaloner Ogle, which was then serving in home waters, but he remained ashore instead of taking up the post on this vessel. On 24 April he inherited the family wealth and seat upon the death at the age of 25 of his elder brother William, the M.P. for Essex, and for the next two years he revelled in his new-found riches, earning some renown as a gambler and a man about town. Famously on one evening in 1780 at the Cocoa Tree coffee house in St. James’ Street, London, he faced a loss of 100,000 guineas, which would be worth about eighteen million pounds in today’s money, to an Irish gamester by the name of O’Byrne during a game of ‘chicken hazard’. When Harvey stated that he could sell his newly inherited estate to pay off the debt O’Byrne gamely offered to accept 10,000 guineas and throw for the balance, a throw which Harvey won. Cementing his position in society, Harvey was elected unopposed as the M.P. for Maldon in May 1780, a seat he held for the next four years. 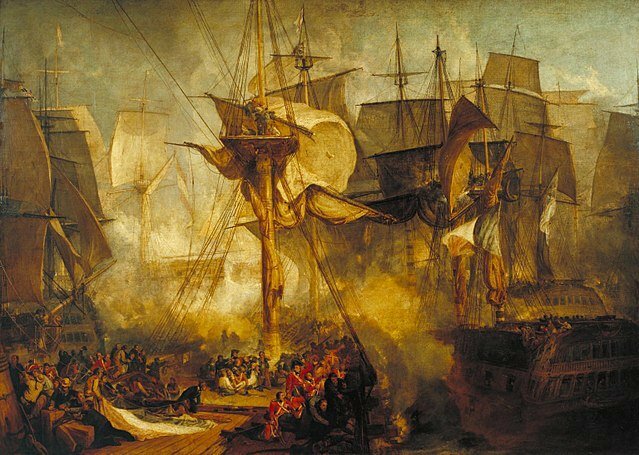 At the beginning of September 1781 he was appointed first lieutenant of the Dolphin 44, whose captain, William Blair, had commanded her at the Battle of the Doggersbank weeks earlier, and who had just been appointed to the Anson 64 at Plymouth. This vessel served at the blockade of the Texel with Commodore Hon. Keith Stewart’s squadron for the next few months, but Harvey left her on Christmas Eve after she received a new captain, Robert Manners Sutton, and orders to sail for Jamaica. He was promoted commander of the recently acquired sloop Otter 14 on 21 March 1782, commissioning her for the Channel and then serving with her in the North Sea and in convoy duty to the Baltic, from where he returned to Leith in November. He then spent the Christmas period on leave. On 20 January 1783 Harvey was posted captain, but he spent the next seven years at the gaming tables in London or at his estate in Chigwell, Essex. He returned to service during the Spanish Armament when he was appointed to the new Hussar 28, commissioning her in May 1790 and carrying despatches from Admiral Lord Howe’s grand fleet at sea to Plymouth in early September, prior to being paid off on 22 December. At the end of May 1793, following the opening of hostilities with revolutionary France, Harvey recommissioned the Spanish-built frigate Santa Margarita 36, being based at Spithead in the summer. He then went out to the West Indies in December and served under Vice-Admiral Sir John Jervis at the reductions of Martinique and Guadeloupe during the Leeward Islands campaign which commenced in January 1794. Commanding a force of three hundred seamen ashore, on one occasion his men were required to move a 24-pounder cannon and two mortars some five miles overland, building roads through woods and across rivers as they did so. In the late spring of 1794 he returned to England, and after two weeks ashore he took the Santa Margarita into the Channel to serve under Commodore Sir John Warren. She was with his squadron off Brittany on 23 August when it drove ashore the French frigate Volontaire 36 and two corvettes, the Espion 18 and Alerte 12, and on 29 March 1795 the Santa Margarita assisted the Cerberus 32, Captain John Drew, in the capture of the Jean Bart 18. In August 1795, having left the Santa Margarita in the spring, Harvey was appointed to the ancient Valiant 74, being attached to Vice-Admiral Sir Alan Gardner’s squadron in the Channel during the winter, and sailing from St. Helens with Vice-Admiral Sir Hyde Parker’s grand convoy in August 1796. The Valiant proceeded with Parker to Jamaica that autumn, but Harvey returned home in February of the following year through ill-health, with the command of his ship passing to Commander John Crawley. In early 1798 he took up the command of the Essex Sea Fencibles, and he returned to active duty in February 1800 aboard Rear-Admiral Cuthbert Collingwood’s ex-flagship Triumph 74, with which he remained in the Channel until August 1801. After entering Portsmouth that month his ship received orders for the Mediterranean and the command passed to Captain Sir Robert Barlow. During the brief suspension of hostilities Harvey visited Paris, and in 1802 he was elected M.P for Essex, a seat he held for the next ten years. In November 1803, some months after the renewal of war with France, he was appointed to the Téméraire 98 at Plymouth, which ship was eventually manned and ready for sea by the middle of the following March and was able to join the Channel Fleet. He commanded her at the blockade of Brest and in the Bay of Biscay, but also had Captain William Kelly act for him from August 1804 until February 1805 when she began a refit at Plymouth that kept her in dock for over a month. The Téméraire was then barely back at sea before Captain George Fawke acted for Harvey between April and July 1805. In September 1805 the refitted Téméraire with Harvey in command joined the fleet off Cadiz where in the Battle of Trafalgar on 21 October she seconded the Victory 100 in Vice-Admiral Lord Nelson’s line and was forced to yaw to and fro in order to maintain her station and not forge ahead of the commander-in-chief during the approach to the enemy line. She then had a brilliant share in the victory, receiving the surrenders of both the Redoubtable 74 and Fougueux 74 whilst losing forty-seven men killed and seventy-six wounded. Harvey’s name was later conspicuous in Vice-Admiral Lord Collingwood’s despatch, leading to some jealously among his contemporaries. On 9 November 1805 he was promoted rear-admiral, and on 6 January 1806 acted as a pallbearer at the funeral of Vice-Admiral Lord Nelson. In the last week of March he hoisted his flag at Portsmouth aboard the Tonnant 80, Captain Thomas Browne, initially under orders for the Mediterranean but then joining the Channel fleet under Admiral Lord St. Vincent and being detached in command of five sail of the line off Cape Finisterre. In February 1807 he left the station after a year at sea to be replaced by Rear-Admiral Hon. Michael De Courcy, and he arrived back at Falmouth as a passenger aboard the Impétueuex 74, Captain John Lawford in the latter part of March, whereupon he immediately set off for London Two months later he was re-elected unopposed for the parliamentary seat in Essex, and he then spent some time in the House of Commons where he defended Admiral Lord St. Vincent from Captain Lord Cochrane’s outspoken attacks. In March 1808 it was announced that Admiral Lord Gambier would take command of the Channel Fleet, and that Harvey would serve under him as a junior admiral. Towards the end of June he returned to sea with his flag aboard the St. George 98, Captain Edward Sneyd Clay, a reported circumstance that might well have precipitated a burglary just days later at his estate in Chigwell, Essex, when a great deal of property stolen. In early September the St. George briefly returned to Plymouth from Ushant to re-victual and overhaul her rigging, and in the following February, during which month Harvey managed to fit in a visit to Parliament, he was joined by a new flag-captain aboard the St. George in Captain James Hillyar. In early March 1809 he re-hoisted his flag at Plymouth aboard the Tonnant 80, Captain Richard Turner Hancock, and he found himself as second in command to Gambier when the Channel Fleet sailed to blockade a French force of eight sail of the line from Brest in the Basque Roads. 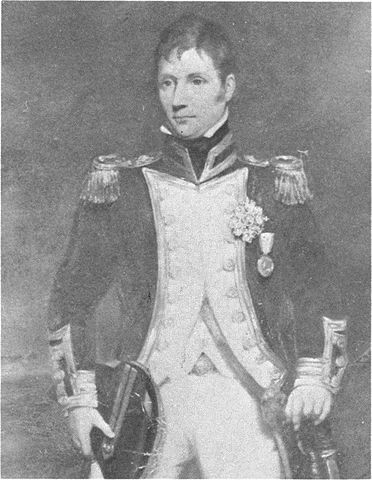 Almost immediately, and before the subsequent Battle of the Basque Roads on 11 April, he was sent home under arrest by Gambier for emitting a sustained outburst of abuse of his commander to Captain William Bedford after Lord Cochrane had been selected before him and other volunteers to lead the attack on the French fleet. The abuse, which could hardly have been more virulent or public, included the accusation that Gambier had no idea how to run a fleet, and intimated that the commander-in-chief terrorised old women into handing their riches over to the Methodists with his ‘canting and hypocrisy’. After returning to Plymouth on 10 April orders were given for Harvey to be taken into custody in the House of Commons, which in principle meant nothing more than the securing of his guarantee that he would appear in court to face Gambier’s charges. He was court-martialled from 22 -23 May aboard the Gladiator 44 at Portsmouth under the presidency of Admiral Sir Roger Curtis, found guilty, and dismissed the service, and although he was later re-instated on 21 March 1810 he was never employed again. Harvey became a vice-admiral on 31 July 1810 and in January 1815 was created a K.C.B. On 12 August 1819 he was promoted admiral, in 1820 was again elected the M.P. for Essex, and he was an active member of the House of Commons thereafter. Following the death of his second and last surviving son in 1823 his behaviour towards his wife and unmarried daughters became so tyrannical that on travelling to Paris they made it clear that they did not want him to join them, and once he did they were delighted when he left. On 11 January 1825 he was nominated a G.C.B., but when he again visited his wife in Paris his legendary foul temper had deteriorated to such a degree that she considered leaving him. By now he protected his money as determinedly as he had once spent it, and his long-suffering wife was regularly castigated for her supposed extravagance. In November 1829 it was erroneously reported in the newspapers that Harvey had died, but despite claims to that contrary that he was in good health he did pass away, whilst still a sitting member of parliament, on 20 February 1830 at his estate of Rolls Park, Chigwell. He was buried in Hempstead Church. 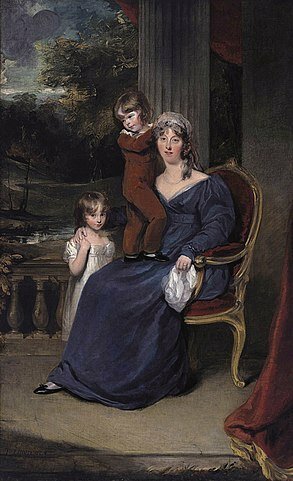 On 15 May 1784 Harvey married Lady Louisa Nugent, the younger daughter of Earl Nugent, and he had six daughters and two sons who predeceased him, the elder of whom, an army captain, was killed at Burgos in 1812, whilst the second died in 1823. His niece married Vice-Admiral Sir Thomas Hardy. Harvey was extremely rich as a result of inheriting his family fortune. An inveterate and well-known gambler, his boasting of the Téméraire’s part in the Battle of Trafalgar annoyed many of his contemporaries. He was forever zealous, fiery, passionate and persevering, outspoken and tough with an explosive temper. In politics he was generally a supporter of William Pitt and his followers, although he claimed that his main adherence was ‘for the Church and the King’.